Tired of carrying around a selfie stick all the time? Our friends at Miz Mooz, a New York City-based footwear brand founded in 2008, have found the perfect solution for you. Their new laser-cut heels feature an open square toe with a dock that you can slip your cell phone or iPhone into. 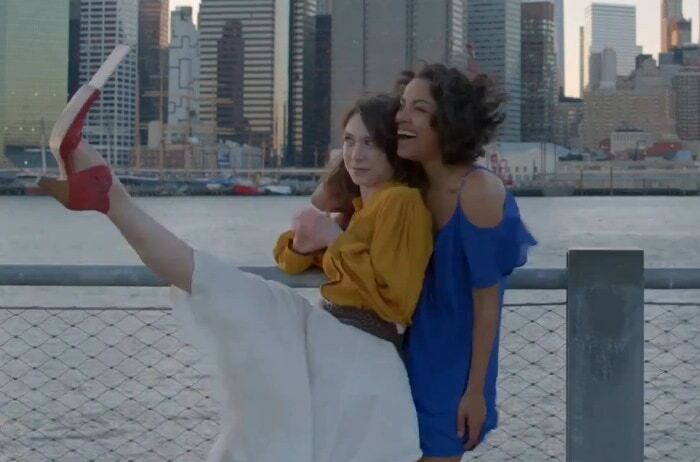 Could these selfie shoes possibly be the invention of the century? Sounds too good to be true? The promotional video was just an April Fool’s joke from the New York-based shoe store Miz Mooz. You can buy more traditional boots, sandals, and shoes from the popular shoe brand at Amazon. It’s probably a good thing. Not only are the shoes horrendously ugly, but you would also need to be extremely flexible just to take a photo. Do you think anyone would buy this bizarre invention? Check out these shoe hacks to see more creative and unusual uses for shoes.